Great saturday for the portugueses teams, four in the lead of the four groups. In WS Europe Cup all the top teams won, and in the Female League Cup will have 4 incredibles Quartersfinals. “The Portugal’s Night”: great attainment for the four portugueses team in Euroleague. The most important victory is by Oliveirense: 4-2 to unbeaten team of Barcelona. They re-open the Group A. now in the lead three team at same points (6), Barcelona, Oliveirense and Follonica. In the Group B Sporting beats the Liceo for 4-1 and Forte dei Marmi defeats Herringen 7-1: now them are in the firsts two positions. Porto wins clearly 6 to 2 against the second Lodi and take the alone leadership with 9 points. In the last group two feeble victories for the two best team after the first round, Benfica and Monza. Same results in away: 1-2. In WS Europe Cup only one draw, between Viana and Voltregà the most important game of 1/8 round. In the first leg three away victories: the title-holder Lleida Llista at Girona (1-6), Valdagno at Biasca (5-6) and Viareggio at Turquel (2-5). Wolfurt, Igualada, Nantes and Sarzana win the first 25 minutes and they will have the 2nd leg to defende their important results. The next and definitive match will be played on 19th January 2019. Female League Cup have the best 8 teams in Europe after the complete round of Preliminary. Four quartersfinals that will be exciting (12th January 2019). Benfica x Voltregà, two of the semifinalist of the latest two years and the spanish derby, Manlleu x Gijon, could seem like a final of the cup. 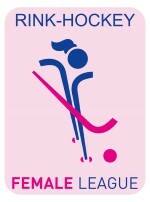 We are sure that after 4 years in the final four, the Female League Cup will have a non-iberic team in the four semifinalists, one between Iserlohn or Montreux. The other quartersfinal will be Plegamans x Noisy Le Grand.